Glass Sword picks up right where Red Queen ended, and Mare is in a very dark place after what happened at the end of Red Queen. Here’s a small recap in case you forgot: Maven betrayed Mare, Queen Elara forced Cal to kill his father King Tiberias, and then Mare and Cal were branded as traitors, sentenced to death, and forced to fight against powerful Silvers in the arena. Somehow, against all odds, Mare and Cal were able to beat their opponents and the Scarlet Guard was able to rescue them. They were transported to an underground train where Mare finds her brother Shade alive and well. So we join Mare, Cal, and the Scarlet Guard on the train running away from Maven. Maven and his soldiers are hot on their trail, and Mare and gang are barely able to get away by way of a submarine where they are taken to an island that functions as the base of operations for the Scarlet Guard. I don’t want to spoil anything, so I’ll stop there. Throughout the novel, Mare and gang go on a hunt for all the newbloods on Julian’s list. While I did enjoy learning about all the different abilities and seeing them in action, it was hard keeping all the new characters straight. I was able to remember a few characters and their abilities, but the rest of them just kind of blurred together. This series’ setting is definitely interesting. I had previously seen Red Queen as a fantasy with dystopian aspects, but Glass Sword was definitely more dystopian with fantasy aspects. The world-building grows so much in this novel since Mare is traveling all around the country while recruiting the newbloods. It was cool to get more of a layout of the land and cities, especially while battles, prison breaks, and rescues took place. Character wise, I’ll say it again, Mare is in a very, very dark place come Glass Sword and I’d be lying if I said I didn’t enjoy it. Watching Mare try to sort through her feelings and instincts made here character feel real. I liked that she had to face consequences and that she was suffering from what went down in Red Queen. Finally, the ending. Oh man. Such. A. Major. Cliffhanger. I’m still in shock of what happened. Book three cannot come fast enough. 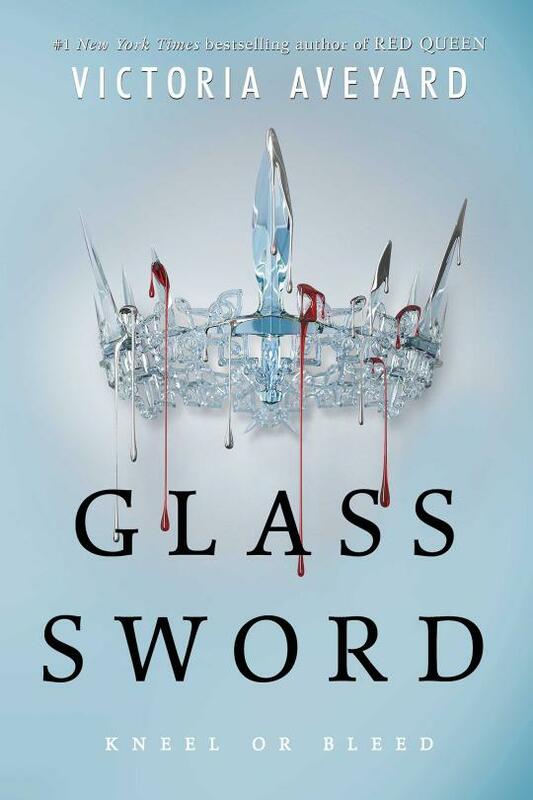 Overall, I did enjoy Glass Sword very much and it was a great sequel, but I still enjoyed Red Queen more. Hi! Thanks for stopping by! 🙂 I’m glad you liked Glass Sword! I’m really excited for the third book to come out next year! Have your read the novellas yet? i can’t wait to read this book! so many things keep popping up and i want to read it so bad. i’m a little annoyed with the fantasy label it has when it doesn’t feel fantasy at all. awesome post. Thanks! I hope you enjoy it! Have you read Red Queen yet?